Mailchimp Pro is a suite of our most powerful advanced features, available as an add-on to any pricing plan. With tools like Multivariate Campaigns, Comparative Reporting, and Delivery Insights, Pro helps improve your email marketing and increase your return on investment (ROI). 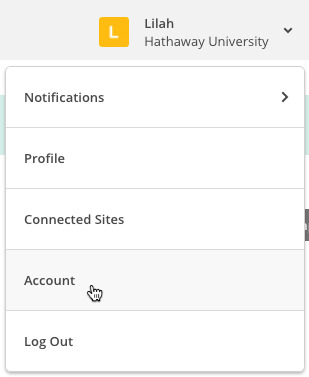 In this article, you'll learn how to add Mailchimp Pro to your account, or remove Mailchimp Pro if you decide you no longer need it. Mailchimp Pro is an add-on to your existing Mailchimp plan and costs $199 per month. 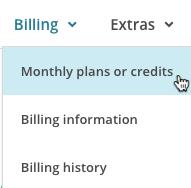 If you add Pro to your account in the middle of your billing cycle, we'll prorate the first month's charge. It can take up to two hours for your Mailchimp or integrated data to appear in Pro features, including report data and segmenting criteria. If you need to remove Pro from your account, first export any advanced segments or Comparative Reports you want to keep for your records. You can continue to send to your advanced segments if you paste in your subscribers to create a regular segment. We recommend you take screenshots of your advanced segmentation conditions, in case you add Pro back to your account in the future. To add Pro to your account, follow these steps. Under the Mailchimp Pro heading, click Add For $199.00 / Month. We'll update your current bill to reflect your Pro add-on charge. You can remove Pro from your account at any time. To remove Pro from your account, follow these steps. Under the Mailchimp Pro heading, click Remove. Answer the questions provided and click Deactivate Mailchimp Pro. We'll display a success message to let you know we've removed Pro from your account, and remove the charge from your bill. Mailchimp Pro is a suite of our most powerful features, available as an add-on to any plan. Learn how you can use these tools to improve your marketing. Upgrade, downgrade, or pause your Mailchimp pricing plan to fit your subscriber count and sending needs.